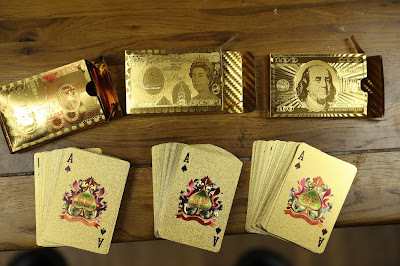 As I posted, I ordered some cheap gold playing cards. I actually ordered a set of three items, and the others have arrived. These varied from £2 to £6. 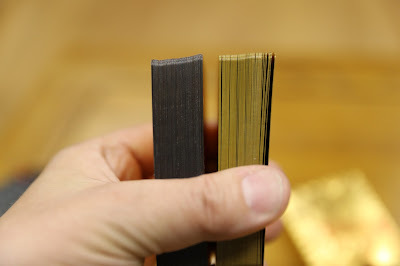 This means I can compare them. And I am surprised that they do have differences. 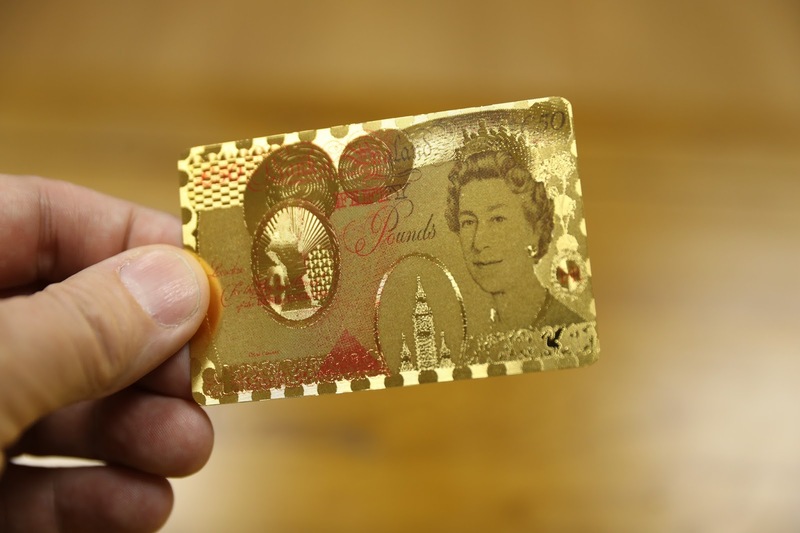 The first, as I reported, has a rather distorted and coloured £50 note image. 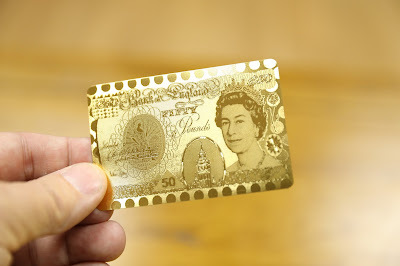 However, the next one, much cheaper (around £2) has a gold only, and better proportioned £50 note. 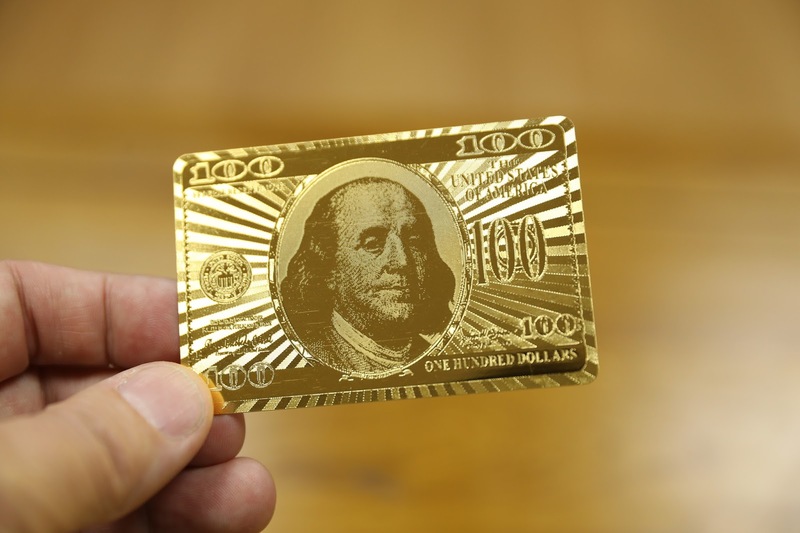 Finally, the US version with a $100 note - not simply a distorted $100 bill, but a design like a $100 bill but in the proportions of the playing card. $100 bills are quite long. Looking at Amazon, there are actually loads of variations, with or without a box and certificate, and with various backs. Interestingly, they are all made by the same people, it seems. Oddly, the edges are also different, and the cheapest one (the gold £50 note backed ones) "feel" better (the gold edge). Of course, if you want slightly less tatt, but more likely to slice your fingers (!) 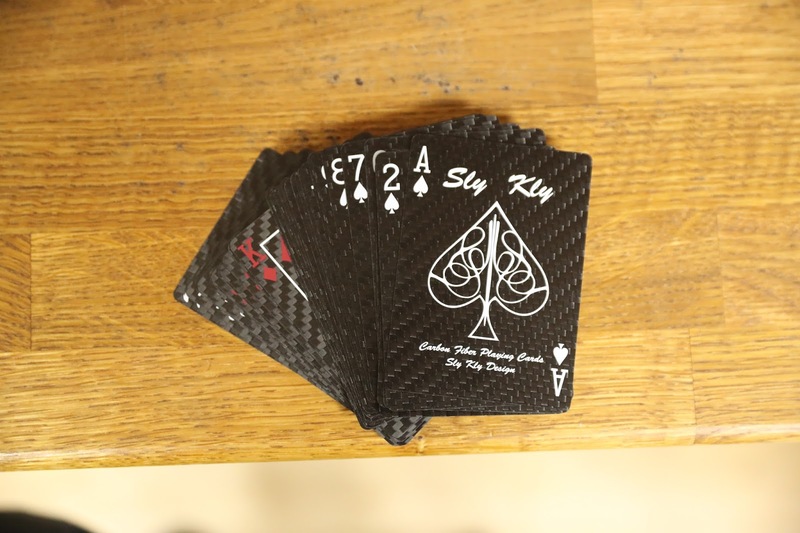 then carbon fibre cards are pretty impressive. How can I cheat if I don't have a spare pack up my sleeve?